This chapter focuses on how and why entrepreneurial leadership in family businesses may be influenced by Christianity. 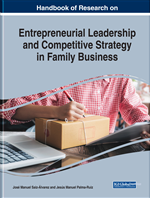 This chapter is motivated by the need to understand further the influence that entrepreneurial leadership entails in the context of the most predominant business form around the world: family business. To contribute to understanding, this chapter offers a model to understand the nature of entrepreneurial leadership in family business influenced by the values and beliefs embedded in Christianity. This chapter argues that in the context of some family businesses, entrepreneurial leadership may entail rethinking the way businesses operate based on a Christian perspective (Ewest, 2018). Family businesses influenced by Christianity have endured in diverse societies and can be found in diverse industries (Higginson, 2012; Jeremy, 1990). Whilst people may be surprised to learn that some of the largest corporations are family-owned businesses, firms such as IKEA, WalMart or Samsung, other companies are well (or less) known for being family businesses guided by long-standing Christian religious principles and heritage, making a virtue of their familiness in promoting their products and their culture such as Chick-Fil-A (Cathy, 2007) or Cardone (Cardone, 2009). The central idea for entrepreneurial leadership influenced by a Christian perspective is that business leaders serve God primarily (Cafferky, 2012) and from this relationship comes a distinctive approach to entrepreneurial activities over time (Wong et al., 2018; Higginson, 2012). This chapter proposes a model that aims to answer the following question: How does entrepreneurial leadership, influenced by a Christian perspective, manifests in the context of a family business? Focusing on Christianity as a relevant influence for entrepreneurial leadership is important to advance understanding in family business research. Christian values are often related to the decision-making processes that individual business owner-managers engage into (Ibrahim et al., 2008; Werner, 2008). Scholars call to extend understanding by acknowledging one of the most significant challenges in the study of entrepreneurship, leadership and family businesses when focusing on Christianity - the assumption that entrepreneurship and leadership in family firms are religion-neutral (Wong et al., 2018; Discua Cruz, 2018).